I like most of the sounds on it, and it's easy to program (even with out the programmer no matter what other people say). It is limited, but can still make some freaky sounds. Really good bottom end, but the high end is a little muddy. It is really durable, it has been beaten and dropeed for 18 years, and although it needs some work done to it (a male cat sprayed it and some of the keys stopped working)everything (else) works well. Even the back-up battery is still working. Although at the time, I thought that tape back-up was so lame, I can save the banks and sequences as WAV files on my computer, with a little tweaking I never get load errors again. There is something about the bender too, I came up with this riff using the bender, and haven't been able to duplicate it on any other keyboard. Some of the hidden features are pretty cool, it's too bad I don't have the newest version of the OS. I have a MIDI thru so I thought that would mean it was a newer keyboards, but I guess not. I would never sell this one, but I hope that the keys can be fixed someday. UPDATE : Nov 2005 there is a MIDI update available!!!! See above for link. UPDATE: Sep 2012 There is a new update. It is more expensive but it is also much more expansive. My own keyboard needs some serious TLC. UPDATE : Feb 2014 I opened the JX to remove something that was jangling around inside and decided to see if I could fix what I could. I put jumpers across some corroded traces on the keyboard and cleaned the contacts and all the keys except Ab B & C are working. There was some corrosion around one of the filter chips on channel 4 and I tried to clean that up. I also redid the jumpers across the crack in the top button board and now everythins seems to be working fine. Just the 3 keys still aren't working and that would seem to be beyond my expertise. And as for as the Kiwi update I am waffling. I now have other keyboards with poramento and am pretty happy overall with the keyboards performance, I'm not entirely sure that the MIDI update is something I need. Or if it's even something I want. may 2014: I put my name on the list for the organix update. Hopefully by fall. 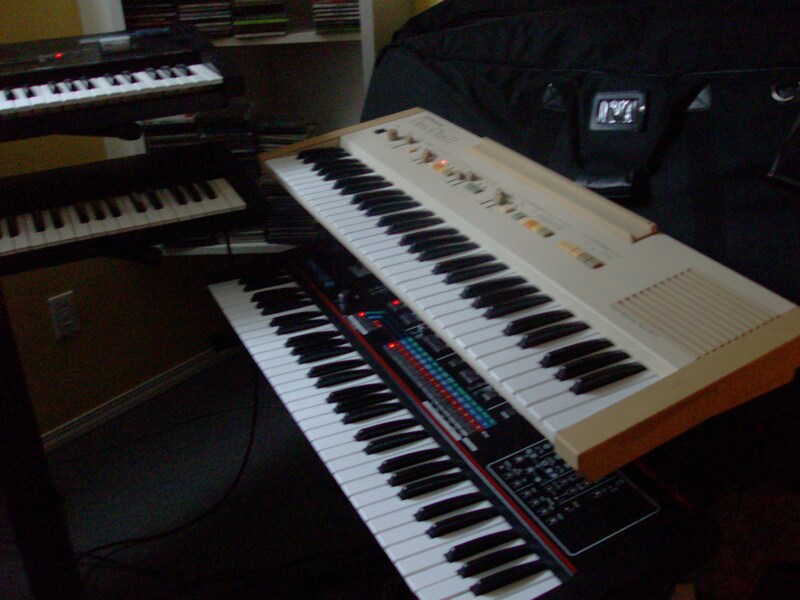 Jan 29 2016: This JX-3P is now installed with the Organix MIDI upgrade! I like this upgrade for a few reasons, the biggest is I was not interested in changing the synths functionality, it just needed a bit better MIDI control. 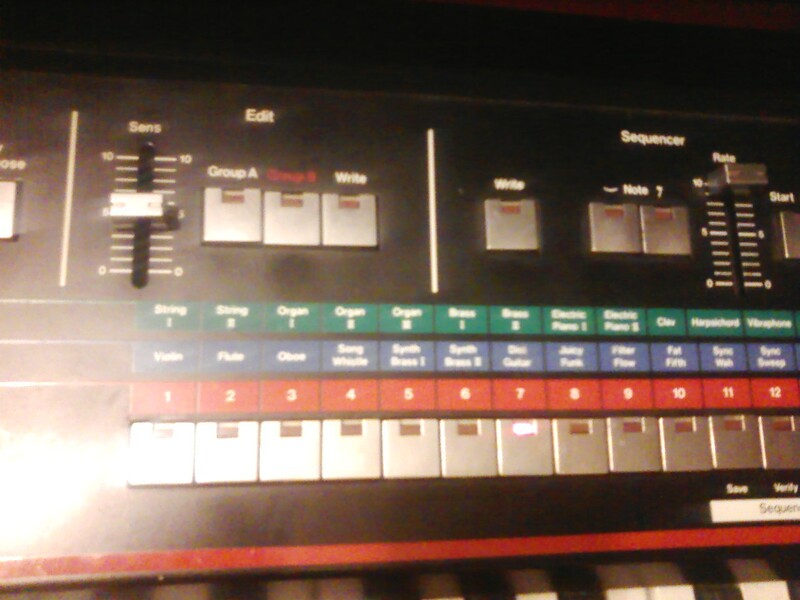 The other is simply because it is compatible with all my previous patches and tape saves. I checked out the CC parameters a bit and it will be VERY useful, but for now I am just happy that it does not start in OMNI mode. 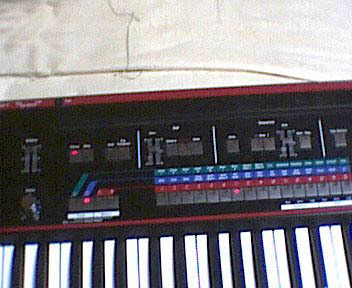 For now I have it still set for MIDI channel one, but I am thinking of changing it maybe sometime in the future. I also re-fixed some jumpers over a crack in the circuit board and I now have functionality of the buttons 9 to 14 again! Last night was very productive. 2016: Now newly MIDI-fied and working better (although buttons 9-16 conked out again) it is sitting in the middle tier of the 3 tier stand, and still played as much as ever. Although I wish I could fix the last 3 broken keys and I think I should finally get a PG-200. 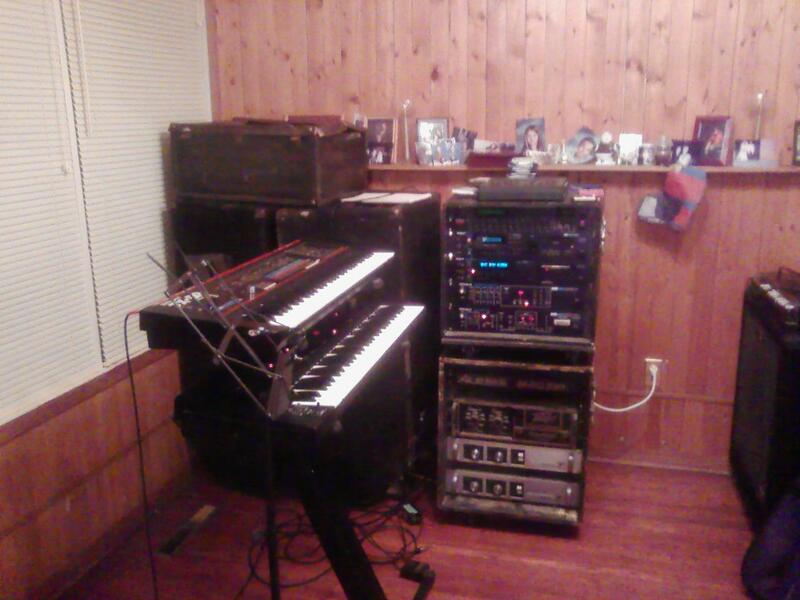 2008: I at the moment have it set up in my dining room! I am gearing up for a live Beker show, and am practicing as much as possible. When I have gigs it still travels with me but I am hoping to retire it soon. 2006:This keyboard has been travelling with me since I bought it. I used it in some bar bands spradically through the 90's till 1997 when it came with me always. I am starting to have some problems with it, but I am waiting to get the MIDI upgrade, then I will open it up and see what things I can fix. It currently sits in our band vehicle in between gigs as I have no place to store it here. I have found a few sites none of them are all inclusive. A page I made for the jx3p - Here you will find the hidden keypresses, a MIDI chart, and a couple of text patches ,many redundancies. WAVs - I have put up a zip file containing 2 wav's of tape save data (read patches! )and a text file that tells you how to set it all up. Florian Anwander - This guy has a manual, and tons of mods for those who don't mind tinkering inside their keyboard, plus some technical stuff.